Turning the Kindle on and off doesn’t seem to clear the issue. Turning the WIFI on and off doesn’t fix the issue. Logging onto your Kindle orders on Amazon and clicking “Deliver To My…” under Actions…doesn’t fix the problem. Repurchasing the book also does not solve the problem. The odd part about this is the book comes down just fine via the Kindle app on other devices such as iPhone, Mac OS and iPad. I broke down and called Amazon tech support. They were able to fix the issue. This is for the Kindle w/out a keyboard. Hold down the power button for 20 seconds… Even when the screen goes black, make sure you keep holding the button for 20 seconds. When you RELEASE after 20 seconds, wait. The screen should flicker. Then a moment later you’ll see the Kindle splash screen and a fill-up bar. This is basically a hard reboot of your Kindle. 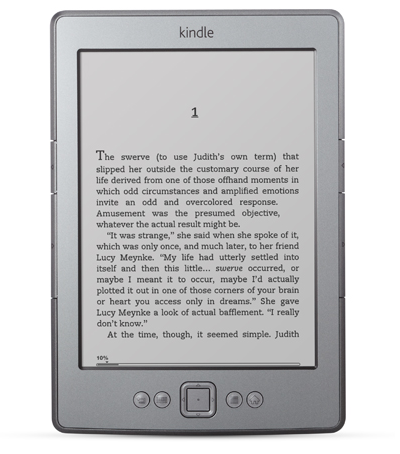 The fill-up bar will…fill up and then your Kindle will come back to life. You MUST see this fill-up bar at this stage. If not, you have not rebooted the Kindle, you have only powered it on and off. So, make sure you see the fill-up bar on the Kindle splash screen. After the Kindle turns back on, go to your Archived items and try to re-download the book in question…you should have a successful download. Thanks to Kindle tech support for walking me through this.